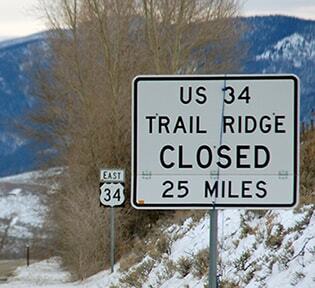 Claim to fame: US 34 reaches the highest elevation of any US route: 12,183' along Trail Ridge Road through Rocky Mountain National Park in Colorado... although that segment of US 34 is open only during the summer months. 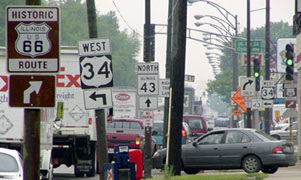 Walnut curves into Locust a few blocks to the right. 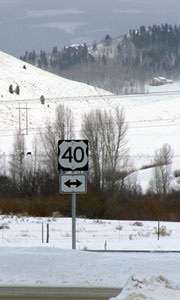 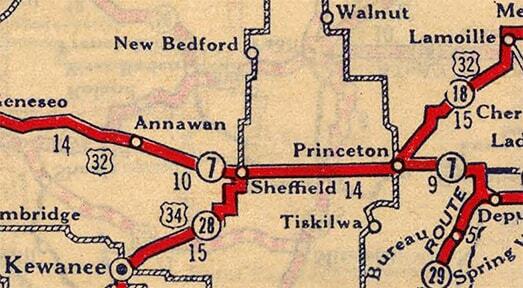 That was just past the junction with County Road 6, but just before CR 40. 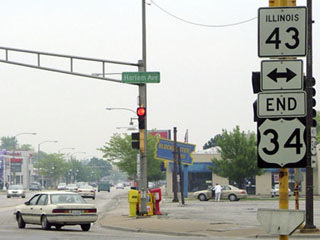 Some of those signs would be more useful if they were posted on the far side of the intersection ahead. 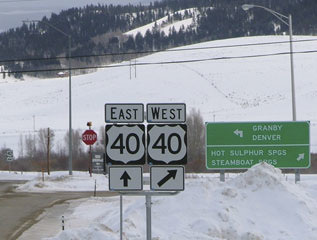 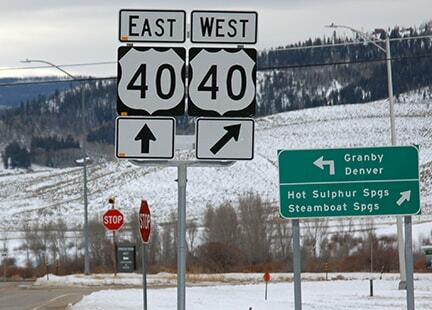 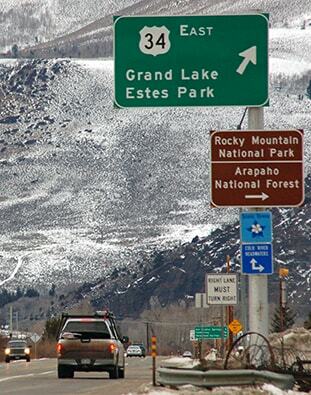 ​In a practical sense, US 34 is more often than not a route with two disconnected segments, separated by a gap through Rocky Mountain National Park. 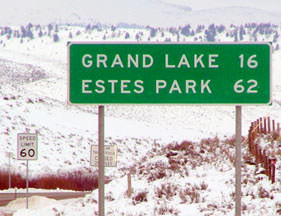 During the snow season, one can drive past the turnoff to Grand Lake, and sometimes up to ten miles north of the RMNP entrance station. 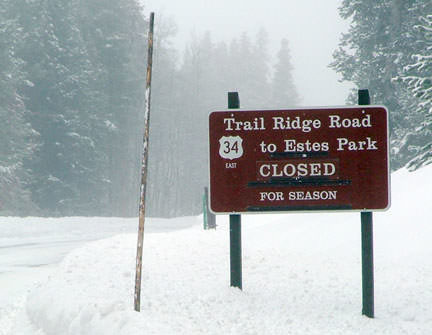 But that is where the road is closed: if one is trying to connect with US 34 in Estes Park, they will need to turn around, and then they are looking at a drive of about four hours! 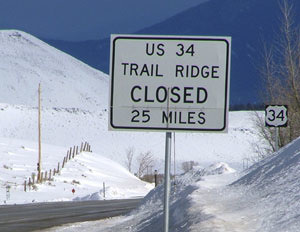 Snow removal crews strive to have Trail Ridge Road open by Memorial Day, but it is usually closed again by sometime in October. 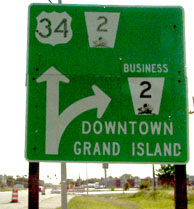 In other words, this westernmost 25-mile stretch of US 34 is isolated from the rest of the highway for about seven months out of each year. 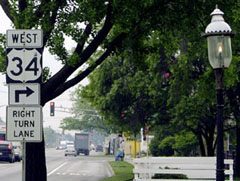 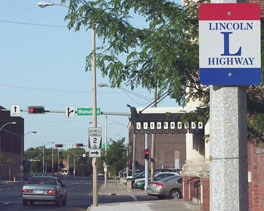 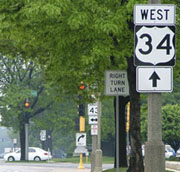 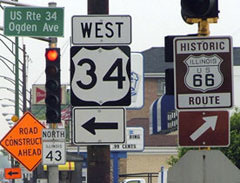 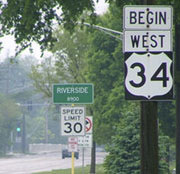 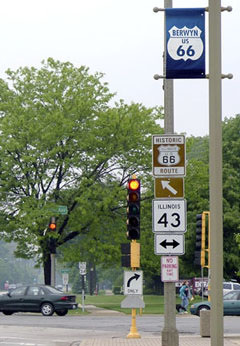 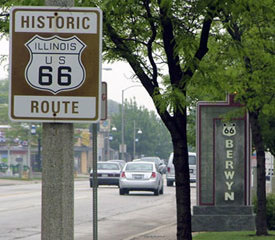 Note the historic US 66 markers; as previously mentioned, US 34 formerly continued east (right) with US 66 into downtown Chicago. 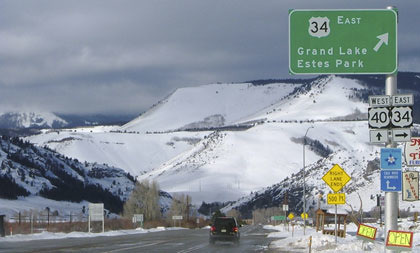 last updated Dec. 31, 2017.